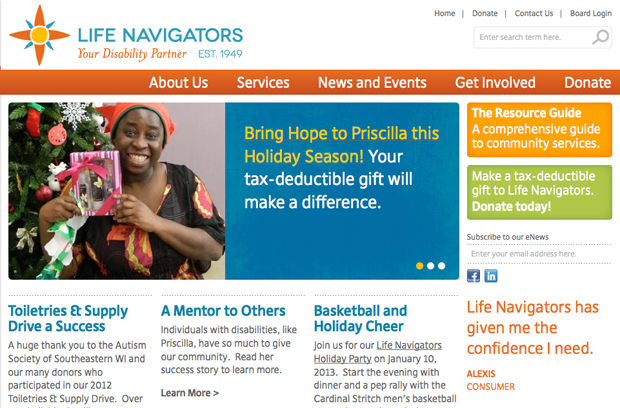 Life Navigators helps individuals with developmental disabilities and their families access the information and services they need to thrive. A 2012 name change (they used to be known as ARC of Greater Milwaukee) and a new identity called for a new website. Along with our technology partner, Unbox Interactive, we created this easy-to-use website which is updated frequently by Life Navigators staff.